Finnish-Norwegian working group says cargo volumes are too small to justify building a railway from Rovaniemi to Kirkenes. “According to all the finance models used, the project would not be commercially viable,” the conclusions in the report reads. The working group says transport volume would have to be around 2.5 million tonnes per year to cover the annual maintenance costs of such railway. “Such volumes cannot be regarded realistic without any significant changes in business in the area or in the costs of different transport modes,” the report says, but underlines that the conclusions are based on preliminary data. “During the preparation work, the preconditions for the Arctic railway project and the requirements for completing it have been reviewed with different parties,” Anne Berner, Minister of Transport and Communications of Finland, said when receiving the report on Monday. The working group has looked into different scenarios for future transport volumes. A best case scenario, the report reads, links the Arctic railway from Kirkenes on the Barents Sea coast to Rovaniemi along with the planned Helsinki-Tallinn tunnel and the Rail Baltica project. The working group says it is now for the politicians in the two countries to take the next step. According to the report, the Arctic railway would have diverse impacts on the environment and the Sámi people. Highlighten in the study are the uniqueness and sensitivity of the natural environment in the north which requires special attention. “This is widely known,” the report reads. 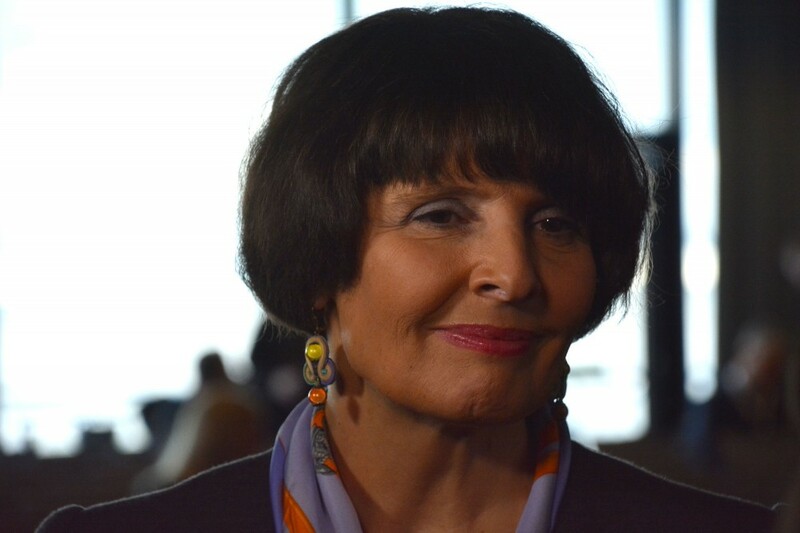 Liisa Holmberg is from a Sámi family of reindeer herders in Sevettijärvi, northern Finland. Like other reindeer herders, Holmberg says it is important that the Sámi voices are heard when such a railway is planned. First after the end of the joint Finnish-Norwegian working group’s term, the Ministry of Transport in Helsinki and the Sámi Parliament conducted negotiations concerning the possible railway. Since the study has solely focused on preconditions for a railway, no decision is considered in regards to a possible rooting of the tracks. The distance from Rovaniemi to Kirkenes is about 500 kilometers, of which more than 90% is within Finland if the tracks are built west of Lake Inari. 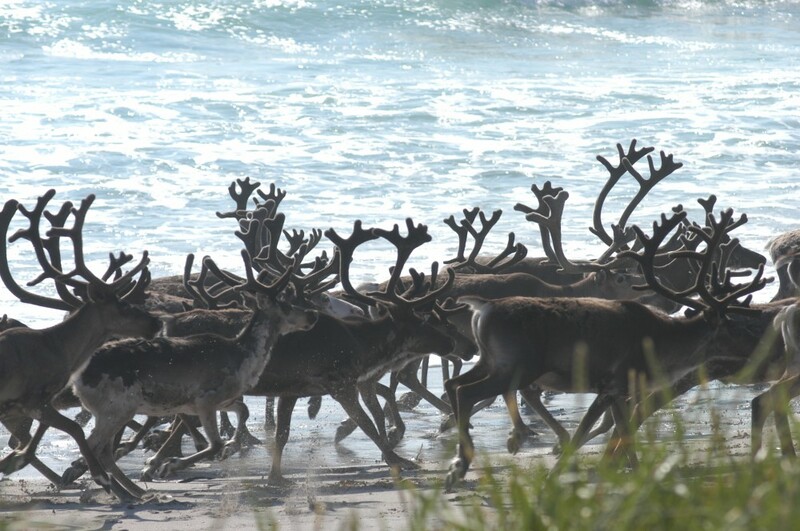 Last September, the Saami Council made a resolution saying a railway would affect the income and existence of reindeer herding communities in the entire area from Rovaniemi to Kirkenes. 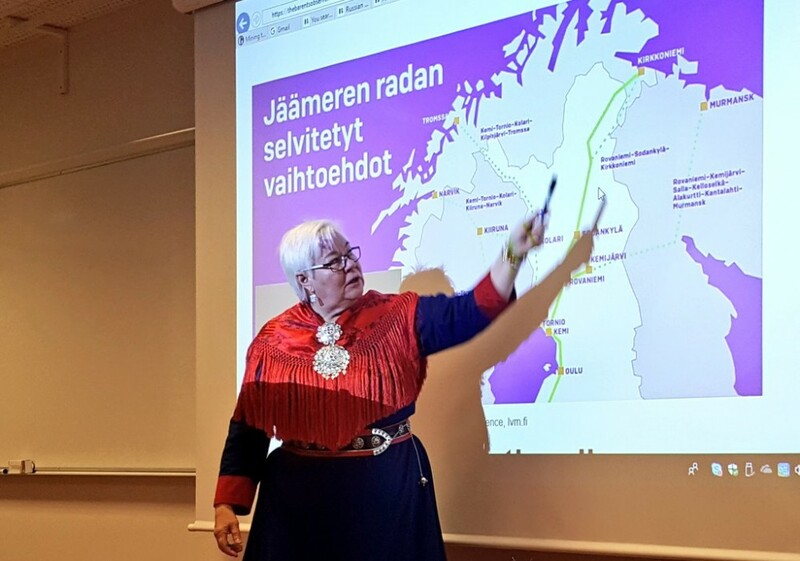 “I can clearly state that there is no way for a railway from Rovaniemi to Kirkenes to be built without harming Sámi culture, traditional Sámi reindeer herding and fishing,” President of the Saami Council, Åsa Larsson Blind, told the Barents Observer. With today’s report, the Arctic railway will be put on hold.